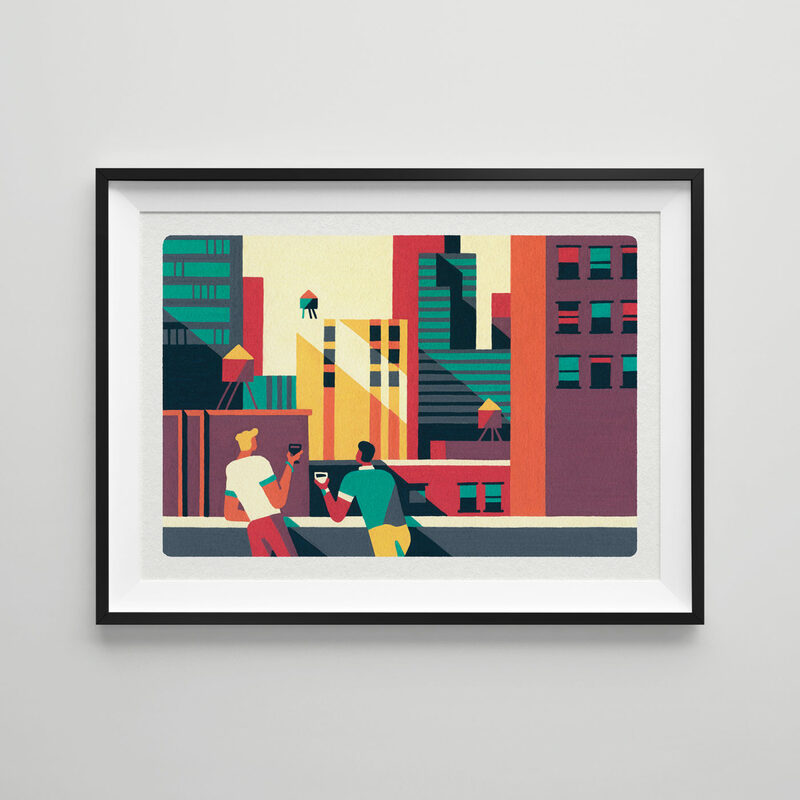 Views is an illustration from my New York City series, that I’m excited to now present as a limited edition print. This fine art giclée is printed with archival pigment ink (Epson Ultrachrome) on 310g heavy watercolour, matte, textured paper (Hahnemühle German Etching fine art paper). The first edition is limited to 100 prints and available in 297 x 210mm (A4). Each print is hand signed and numbered on the front.